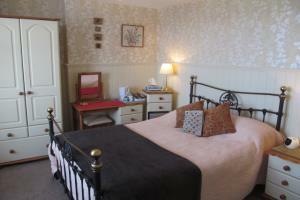 Single room sharing private facilities (shower) with Room 6, on the landing opposite rooms. Mini-fridge, wine glass & corkscrew provided. iPod dock radio/clock alarm Room 5 overlooks the countryside while Room 6 looks towards Tintagel village. 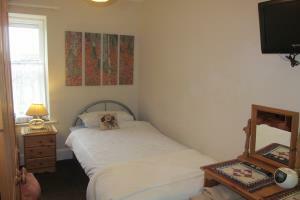 Single room sharing private facilities (shower) with Room 5, on the landing opposite rooms. Mini-fridge, wine glass & corkscrew provided. iPod dock radio/clock alarm Room 5 overlooks the countryside while Room 6 looks towards Tintagel village. Our smallest single room with a sloping ceiling benefiting from an ocean view, through a Velux window. 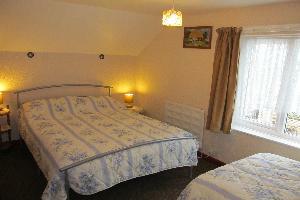 Smaller than our other two single rooms this is a lovely bright room with character. Mini-fridge, wine glass & corkscrew provided. iPod dock radio/clock alarm Shower and toilet facility is on the landing and shared with Room 8 (adjacent family room). 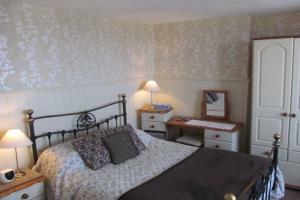 Double en-suite room, with bath. 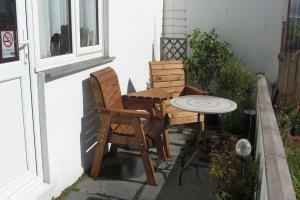 Enjoys an ocean view from the bedroom and countryside views from the bathroom. All views are through Velux windows. Mini-fridge, wine glasses & corkscrew provided. iPod dock radio/clock alarm Please note that the bath has a hand held shower attachment for ease of washing hair. Due to the arrangement of the en-suite it is not suitable for a standup shower. 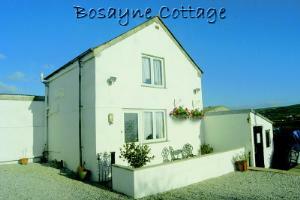 Bosayne Cottage is a cosy bijou self-catering cottage to the rear of Bosayne Guest House. 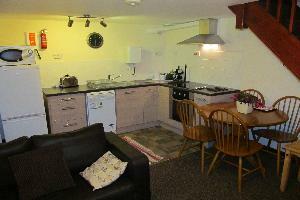 It comes fully equipped kitchen with a fridge-freezer, built-in electric hob and oven, microwave, dishwasher, kitchenware, iron and ironing board. 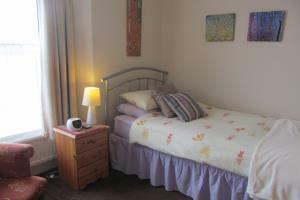 32" HD flat-screen TV, DVD player, micro music centre, towels and bedding are provided. Free WiFi, and reserved parking. 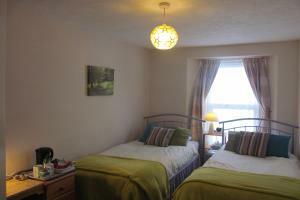 The bedroom has a double bed and single bed. Use of sofa bed at extra cost.